New Arrivals! Walter Fleming Face Jug and a Spinet Desk! Cookies, Every Weekend! Come Take a Look!! 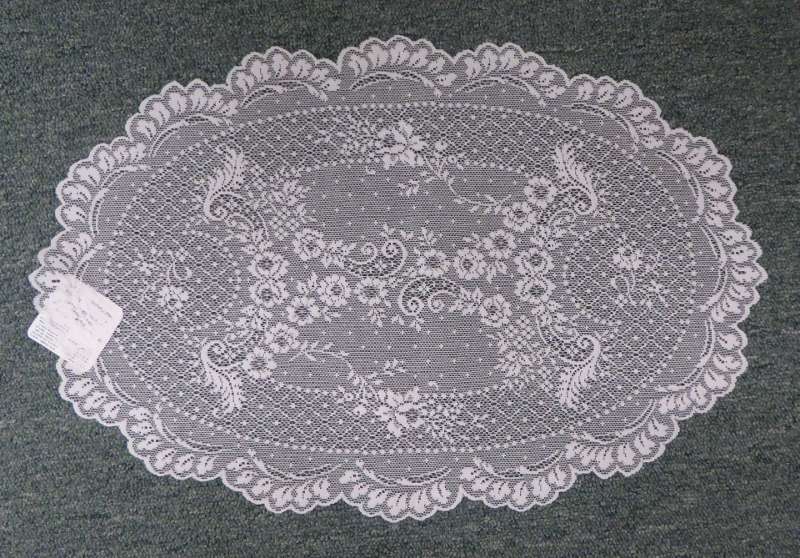 8287 Seminole Trail (rt 29) Ruckersville, Virginia – 434-985-1944. 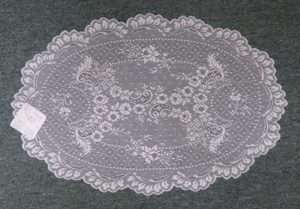 Lace Place Mat, $6.50 – 12 Available. 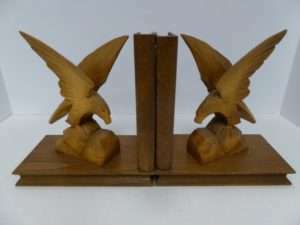 Carved Eagle Bookends from Booth 88 – $40.00. 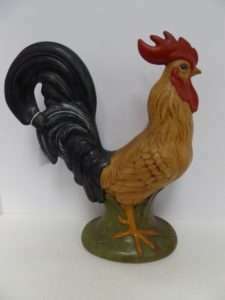 Proud Rooster Statue, Booth 88, $30.00. 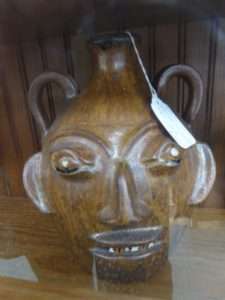 Walter Fleming Face Jug from Booth 31 – $350.00. 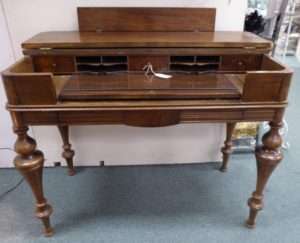 Spinet Desk from Booth 1 – $399.00. 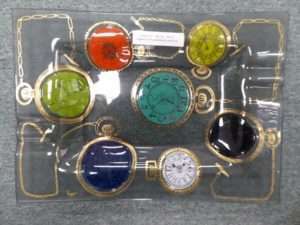 Higgins Pocket Watch Glass Tray from Booth 1, $99.00. Bronze Statue of Abe – Around 3 Feet High – $2485.00 – Booth 314. 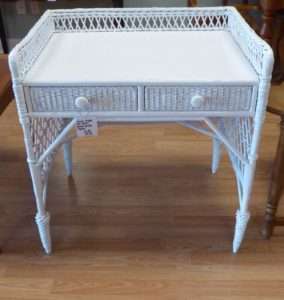 White Wicker Vanity – Booth 444 – $55.00. 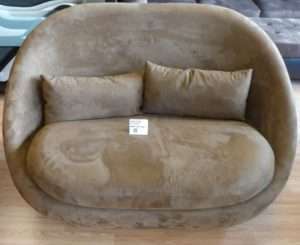 Brown Love Seat from Booth 444 – $85.00. 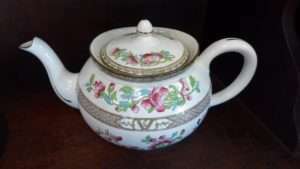 Indian Tree Tea Pot from Booth 411 – $119.00. ‹ Appraisal Day with Norman Dill, Saturday May 13th!